We’re all looking for ways to save money these days. Utility bills can cut a big hole into our budget and wallets. Some of these tips aren’t quite as practical for us here in Oregon especially the one about hanging the clothes outside to dry! However, cutting out the grass in my lawn is something I’ve been wanting to do. Maybe I can get to work on that as soon as our weather gets nicer. If you have a lot of lawn to mow or a house that’s too large for you, now might be a good time to downsize, move to another home with less yard, etc. Give me a call at 503-804-9685, if you’d like more information on how I can help you. Prices are still increasing in the Portland metro area. Interest rates are are still low and there is still buyer demand. If you want to know the value of your home in today’s real estate market, please call me at 503-804-9685. Want to know more about Portland? I’d love to be your buyer’s agent, please give me a call at 503-804-9685. ALL ABOUT…..Seniors.Boomers And Small Houses. © Copyright 2008-2019. Betty Jung. All Rights Reserved. Use of this article, photos and images without permission is a violation of federal copyright laws. It has been way too long since I have posted on this blog and I cannot believe how much time has passed. That certainly was not my intent. Starting with this post, I will be adding information here on a more regular basis once again. All through my years in school, I was very athletic and in fact received my athletic “letter and sweater”. I was also a dancer during those years, having been in a folk dance group and danced professionally at Jr. Colleges, in addition to Disneyland. I also won an award after having danced on T.V. In addition, I did aerobics, skied and was a runner. However, my running days ended when, as a pedestrian, I was hit by a truck and had also had arthritis to deal with. The accident exacerbated my condition. Walking never quite did it for me like running, and like many perhaps, I gave up exercising entirely. Over the years my joints have become stiffer and I know I need to get back to “something” to loosen up. Starting next week, I will be taking an exercise class at our Lake Oswego Adult Community Center. It is low impact, in fact, I don’t think any impact. Here is a link to the center if you are interested in taking classes. But, that is ok as my sole purpose for taking this class is just to get moving again. It is in fact chair exercises. Inasmuch as I have done literally no movement at all, I think this is exactly what I need at this time in my life. It would be great if I could get back to running again, but I am not putting bets on that. I am also hoping to take a strength class after I complete chair aerobics, if I am still able to move! There was an article that recently caught my eye and it spoke to me personally. It may speak to you too? 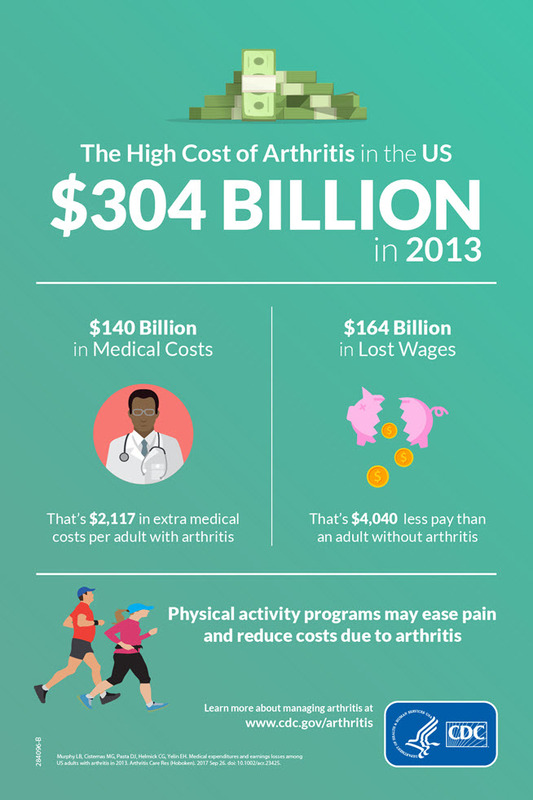 It may sound counter intuitive, but people suffering from arthritis pain in their legs and feet may want to try walking it out. My doctor is ALWAYS telling me this. You can read the full article from Market Watch here. But let’s get out there together. I have a feeling we will all feel better if we do. Prices are still increasing in in the Portland metro area. Interest rates are are still low and there is still buyer demand. If you want to know the value of your home in today’s real estate market, please call me at 503-804-9685. Want to know more about Portland and our metro areas? I’d love to be your buyer’s agent, please give me a call at 503-804-9685. ALL ABOUT…..Seniors, Boomers And Small Houses. Copyright 2008-2019. Betty Jung. All Rights Reserved. Use of this article, photos and images without permission is a violation of Federal copyright laws. From most of what I read, and in talking to other Portland seniors and boomers, it is apparent seniors and boomers want to age in place. Yet, aging in place may require upgrades to your existing home. The Streamline FHA 203k Loan Program, allows homeowners to refinance an existing mortgage and roll home improvement costs into a single loan. In other words, homeowners using the loan don’t have to save up cash or hunt down separate financing for their renovation projects. It provides an alternative when couples want to stay together in a home but when there’s declining health. The program features two types of 203k loans, and each lets homeowners accomplish different goals. The Standard 203k (sometimes referred to as Full or Regular) is aimed at more comprehensive projects that require structural changes and additions, or, for example, at buying and fully overhauling a bank-owned property. The FHA 203k Streamline (frequently referred to as the Streamlined K or Limited Repair Program) is intended for smaller jobs, such as aging-in-place projects, costing up to $35,000 that doesn’t entail structural modifications. It’s a good idea to accomplish aging-in-place projects before you’re in a pinch, long before you may even need them. So if you’re looking to just make cosmetic upgrades or incorporate universal design elements in your primary residence, the FHA Streamline 203K loan could make the difference between your being able to age at home and needing to hunt down alternate housing, such as assisted living. Need a referral to a loan officer and mortgage company? Want to know more about financing your aging in place renovations? If you need assistance in finding a good mortgage broker or loan officer, give me a call at 503-804-9685 and I recommend several to you. Or if you need assistance finding a remodeling contractor, I can help you with that as well. Are you thinking of downsizing? Let me help you prepare your home to sell and get it sold! Looking for Portland Real Estate? Here’s a link to search for Portland properties. Give me a call at 503-804-9685 if you’re thinking of downsizing and selling your home or wanting to buy a home that is smaller to suit your current needs..
Once again, a new study shows that only 46% of U.S. communities are not prepared for what they are calling the “senior explosion”. There’s an educational video about how you can make your community livable for all ages. ( Produced by the National Association of Area Agencies on Aging (n4a) with funding by Metlife Foundation). Here’s the video showing how communities, cities, and homeowners can prepare as they age. The study, discusses the universal design and changes that could be made to commercial buildings and homes to accommodate seniors as they age. The video suggests the cities look at their communities to see what is currently being offered in services and how we can all better prepare to meet the needs of an aging boomer population. Any and all communities can become NORCs. A NORC is a naturally, occurring retirement community. It includes a mixture of ages where everyone can live and where their needs are met, particularly those aging in place. In a NORC, seniors give back by providing assistance to other seniors to make their community more liveable for all. As the video suggests, aging should not be a surprise but a plan. And, it should be a plan that communities are now making for their boomer and senior population. Here’s a link to search for Portland properties. Give me a call at 503-804-0685 if you’re thinking of downsizing and selling your home or wanting to buy a home that is smaller to suit your current needs..
"Successfully Selling Real Estate Since 1978!" All photos and content are copyright protected and may not be reproduced in any form.